New psychiatric research leashes mobile device data to neuroscientific and genetic research for the purpose of resolving weaknesses in psychiatric nosologies. Digital psychiatric treatment tools, implemented under neoliberal austerity frameworks, generate new data associated with mental health. I name this interlinked assemblage “technopsyence” to indicate that the psy-ences, like other domains of 21st century biomedicine, operate in tandem with the technology industries that they fuel. With the risk industries incorporating this new data into their calculations, technopsyence serves as another big data industry by which populations are capacitated and debilitated. In this, I argue, technopsyence reproduces extractive racial capitalism. Using a crip theoretical approach, I explore a recent Afro-Surrealist text about Black cyborgs and Black mental distress to consider its reimaginings of the relationship among digital technologies, bodyminds, and extractive racial capitalism. An aesthetic that challenges Enlightenment epistemologies, Afro-Surrealism questions the models for knowledge about bodyminds that undergird technopsyence. The text I examine offers a historical materialist cripistemology of digital media. It presses us to imagine care in the digital era outside of racial capitalism. Olivia Banner is Assistant Professor of Critical Media Studies at the University of Texas at Dallas. 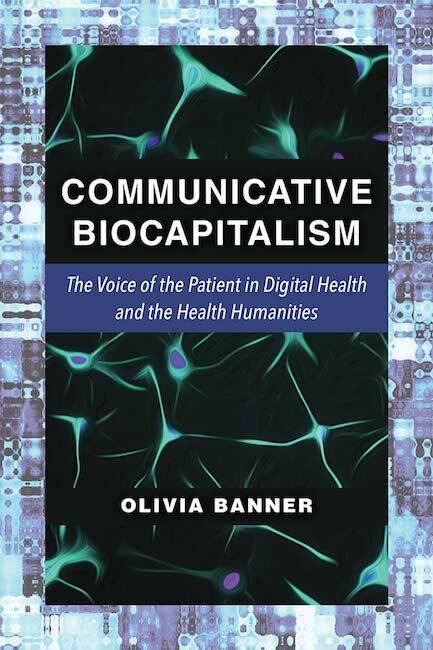 Her recent book Communicative Biocapitalism: The Voice of the Patient in Digital Health and the Health Humanities (University of Michigan Press, 2017) examines how gender, race, and disability inform the value that biocapitalism locates in “the voice of the patient.” Her second book project, Screening “Madness,” 1949-2020, constructs a genealogy of screen media’s incorporation into the psychiatric disciplines to reveal those media’s centrality to the disciplines’ racialization and gendering of pathologization. This entry was posted in Lecture on March 19, 2019 by Brian Lennon.